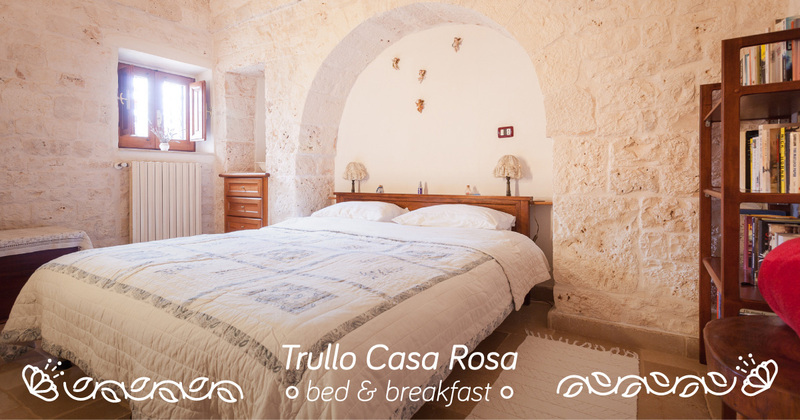 Trullo Casa Rosa is part of a 19th-century property in ancient stone and includes two residential units, the Trullo and the Mimosa Apartment. In both you can enjoy the peace and tranquility of the countryside, and at the same time be surrounded by all the comforts. 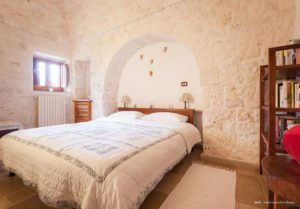 For a holiday in the ancient charm of a large trullo, restored with care. We offer comfort, sober elegance, tranquillity, discrete personalised service and delicious breakfasts. A perfect retreat. 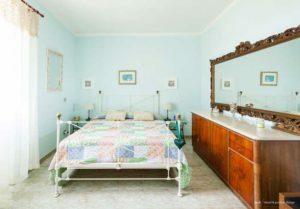 For a holiday in large, light and bright spaces, immersed in a countryside as far as the eye can see. An ideal apartment for a family or two couples of friends.